Take a minute to list the people in your personal and professional worlds that have a bad attitude. If you need a bit of help, consider their level of negativity, pessimism, sarcasm, skepticism, and general resignation. Have you captured your list of half-empty, no possibility, “what’s the use” folks? Now see how much you enjoy their company, or working with them. Where, if possible, have you already headed for the hills or done what you can to avoid these people? What are the chances selected individuals in your world might be placing you on their list? 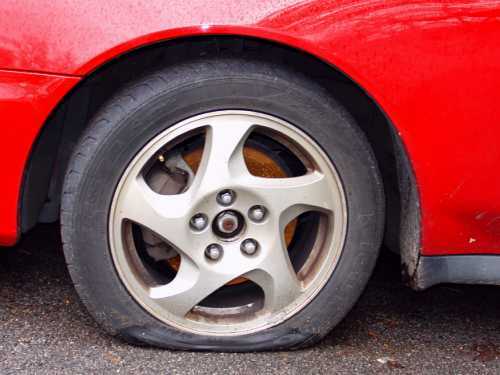 Although changing other people’s flat tires is tremendously difficult, you do have a far better fighting chance of changing your own. Consider the resources at www.lifehack.org to take a few simple steps to begin. A bonus is that your own efforts will tend to inflate other people’s tires in the process! This entry was posted in Attitude, Behavior, Perspective and tagged attitude, Barry Demp, behavior, Demp Coaching, perspective, The Quotable Coach by Barry. Bookmark the permalink. I can completely relate to this comment. I now wonder how many people have me on their lists.